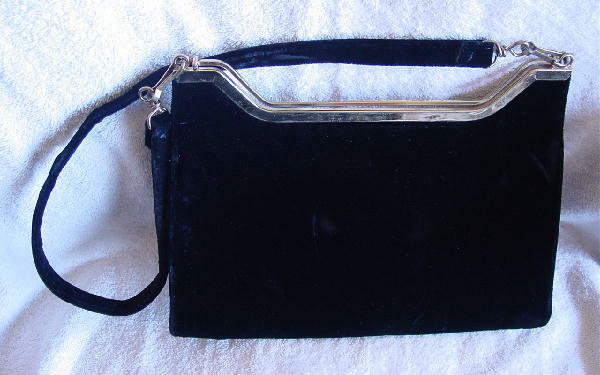 This vintage black crushed velvet purse has a front flap with a hidden snap closure. 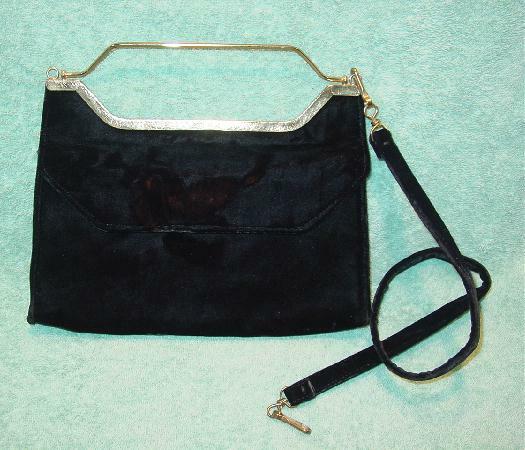 It has a gold-tone rim and thin bar metal handle which can be pushed downward when you have the 29" long velvet shoulder strap and hooks attached to the purse. You can also carry it as a clutch. 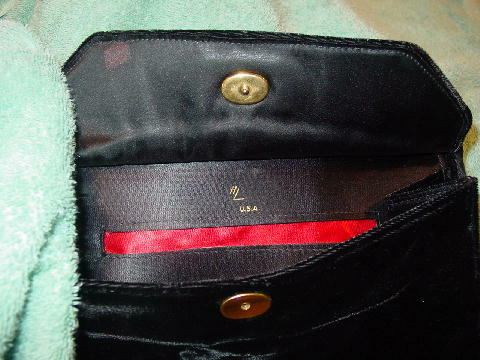 It has a black satin lining and an open pocket with a red satin lining. The back has some line indentations from leaning against something while being stored. Her initials were on the inside lid. She always initialed her purses and shoes, since she had so many roommmates (other models) who liked to borrow things and not return them. She inked them out when she stopped modeling.